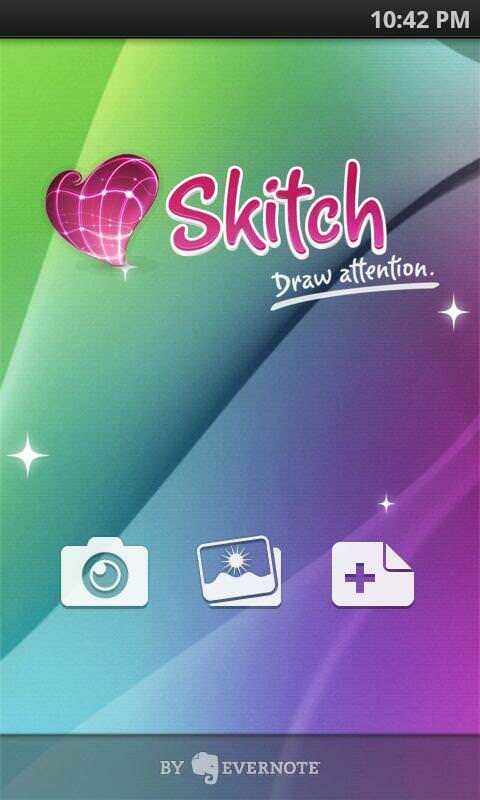 Found one file extension association related to Skitch for Android and 1 file format developed specifically for use with Skitch for Android. Skitch for Android is the perfect way how to quickly draw attention to anything in a picture. You take a snapshot of something awesome, draw an arrow and add a caption, then post the image on Twitter or Facebook. If you need more information please contact the developers of Skitch for Android (Evernote Corporation), or check out their product website.